This model has been discontinued. We suggest the replacement product testo 549. 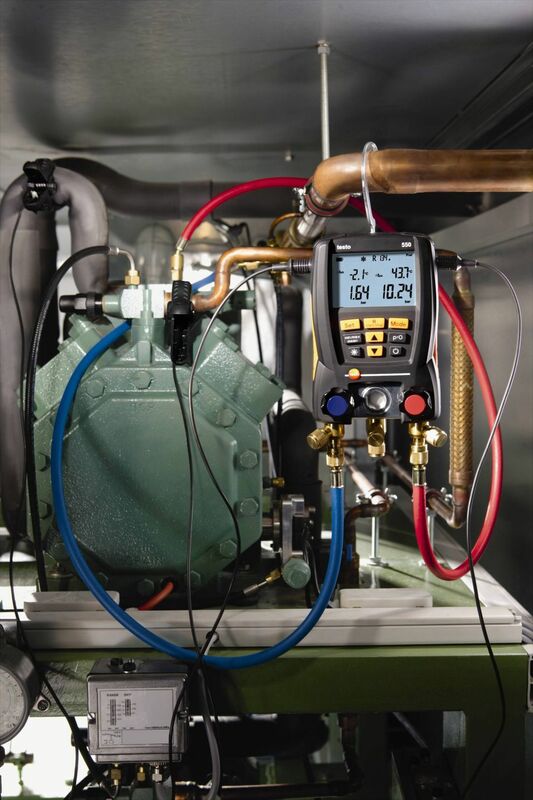 The testo 550 automatically calculates superheating and subcooling of the system using up to 2 temperature probes which can be connected at the same time. 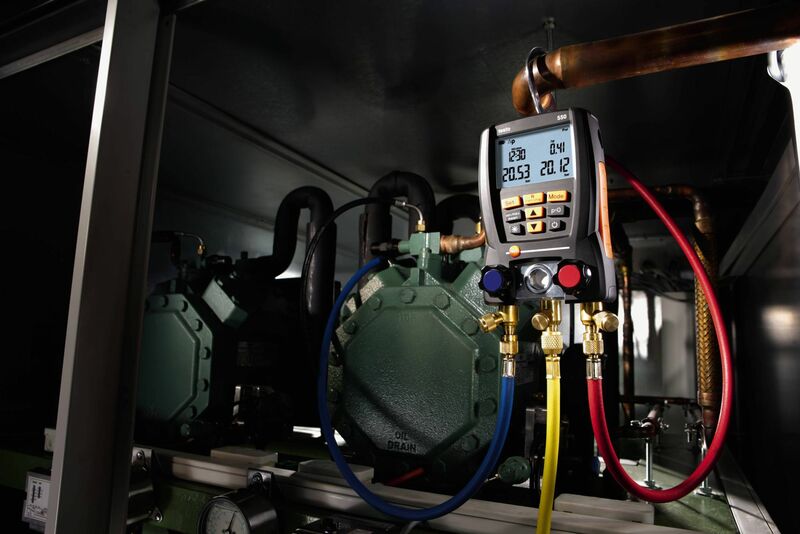 This means manual calculations with a separate refrigerant slide are no longer needed. The 39 most common refrigerants are stored in the instrument as standard. If you cannot find the refrigerant you need, please contact our service department. They will load additional refrigerants on your testo 550 free of charge. 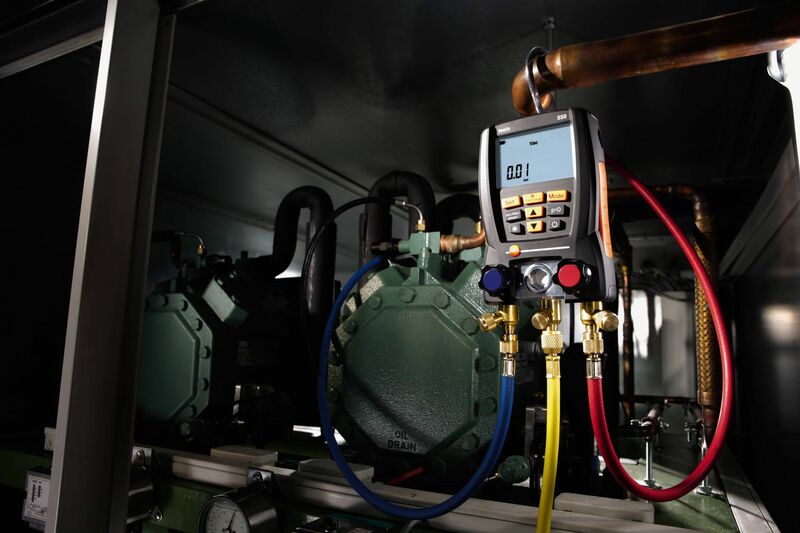 The testo 550 can carry out a temperature-compensated leakage test of the system for rough tightness testing. To do this, the system pressure at the start of the measurement is compared with the one at the end and any difference there may be is displayed directly.